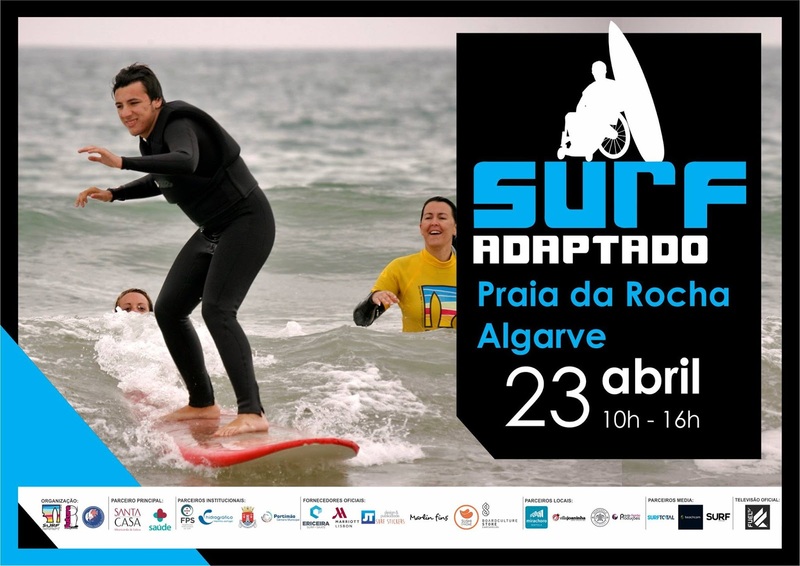 The Portuguese Adapted Surf Association, Surf Addict, will install their itinerant smiles Factory in Praia da Rocha, Portimão in the Algarve on next Saturday 23th April. Again looking to break barriers, joined volunteers from the association, people with any type of disability and monitors the Surf Addict will meet its main objectives: making the practice of Surf accessible to All transforming mentalities and enhancing the physical well-being, mental and the self-esteem want to practice this sport. This activity will take place from 10 am to 16h. Accepted volunteers and participants. Praia da Rocha is one of the most known of the Algarve. It has a long sandy .Since 2013 has been integrated in the list of accessible beaches program “Accessible Beach, Beach for All” held throughout the bathing season.